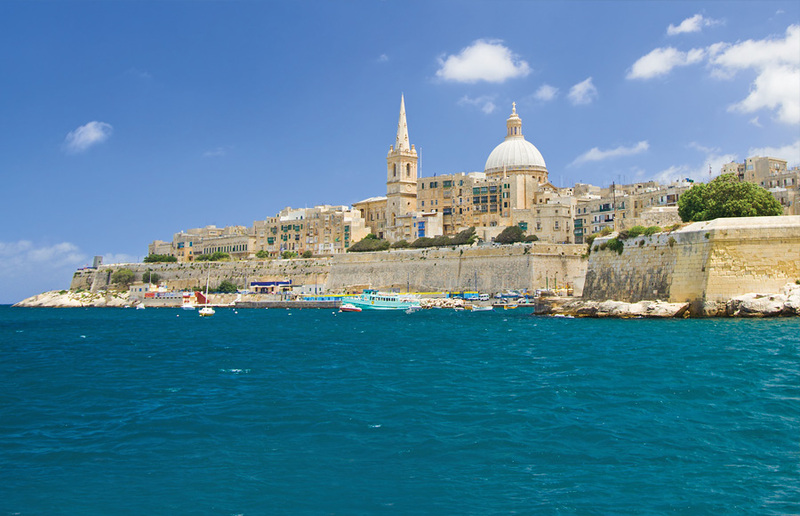 Malta is a fantastic music tour destination all year round, offering a warm climate and superb venue options. This little island, in the heart of the Mediterranean, has a great mix of prehistoric temples, fossil-studded cliffs, glittering hidden coves and a history of remarkable intensity. English is one of the two native languages on the island so communication is not a problem. 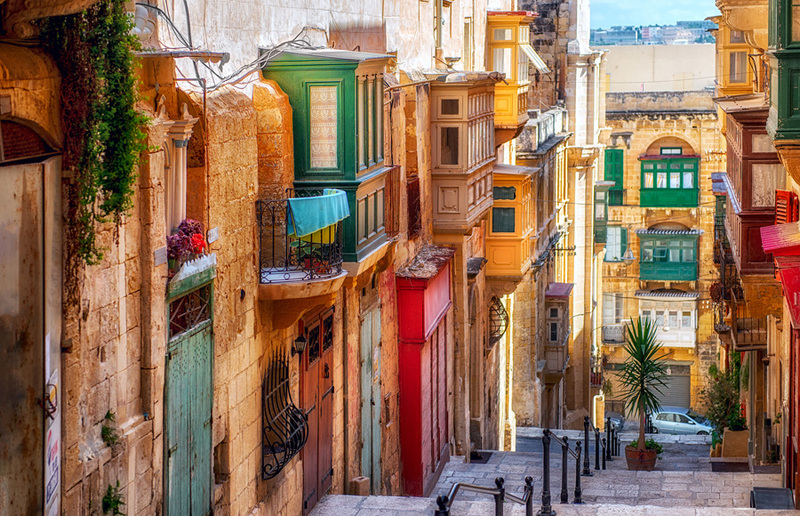 As a bonus, Malta is also exceptionally good value for music tours! Blue Grotto: A magical natural cave,leading to numerous caverns, reached by boat. 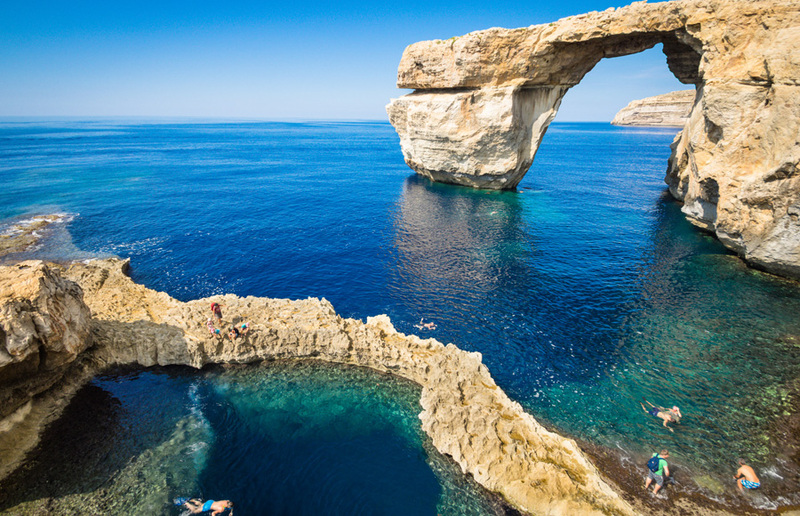 Malta hosts a plethora of excellent 3 and 4 star hotels in popular seaside resorts. The hotels have great facilities and often include swimming pool, fitness centre, lounges and rehearsal facilities. Malta has some great venues. Bands’ performances are enjoyed in the many squares and courtyards in the towns and villages across the island, as well as in hotels where regular concerts are held. Another memorable opportunity would be to perform in the Upper Barrakka Gardens in Valletta, where tourists gather to listen to the canons that fire every lunchtime. 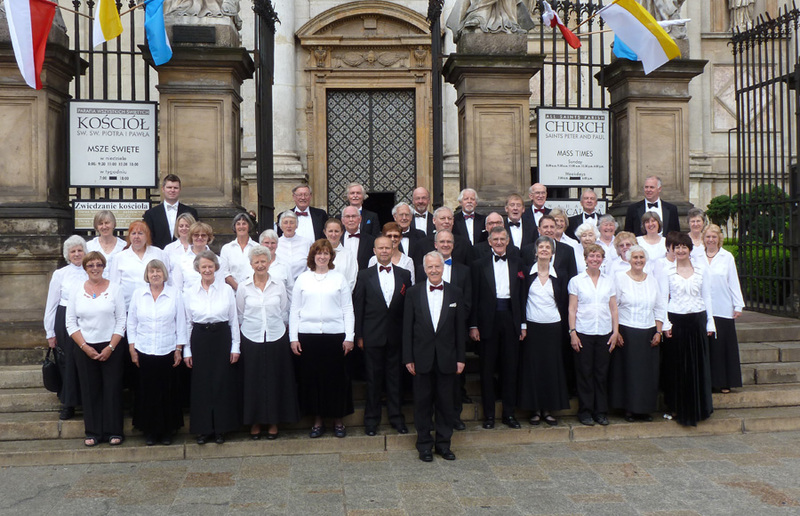 Choirs are spoilt for choice in Malta, with plenty of churches, as well as the prestigious cathedral of St. John’s Co-Cathedral in Valletta, that welcome choirs to perform as part of a service or to give a recital. Afternoon flight and late evening arrival at hotel. Morning in Valletta with lunchtime concert in the Barrakka Gardens, following the famous midday cannon shots. Free time in the afternoon to truly explore the capital. Evening in the resort of St Paul's to enjoy the town's many festivities. Afternoon visit to the island's former capital, the characterful Mdina, with a visit to the spooky Dungeons. Evening concert in Mosta. Morning visit by boat to the mysterious Blue Grotto. Afternoon at the Popeye village film set and evening concert in Zabbar. Morning free for time on the beach or shopping. Afternoon flight home.